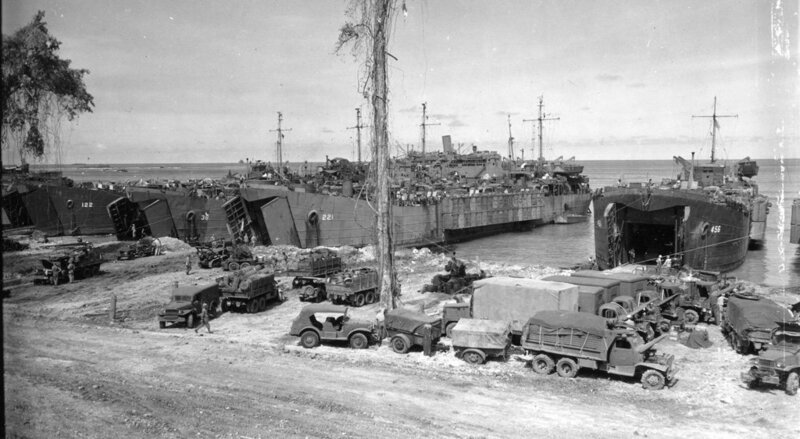 2248k Six LSTs including USS LST-221, USS LST-456 and USS LST-452 loading men and equipment during a practice landing near Lae, New Guinea, 10 April 1944. 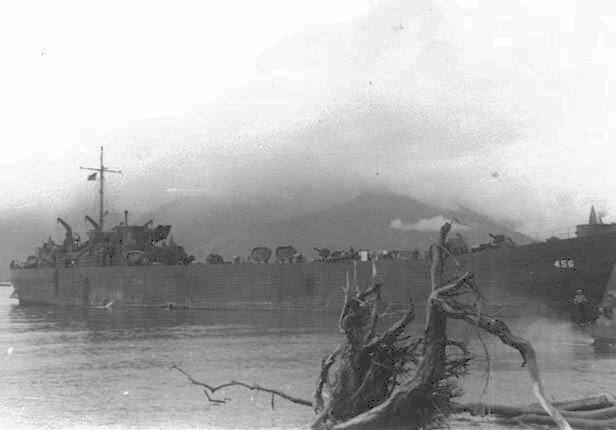 142k Left to Right; USS LST-122, USS LST-38, USS LST-221 and USS LST-456 beached at Finschhaven New Guinea, April 1944. 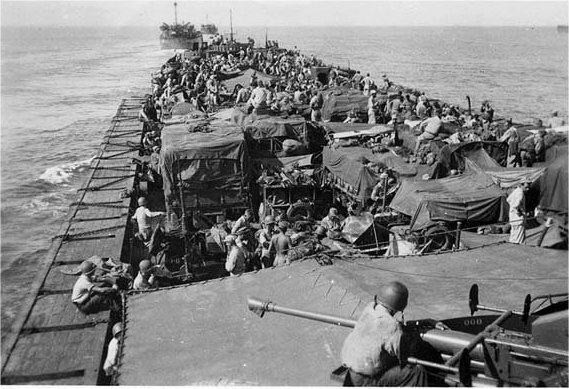 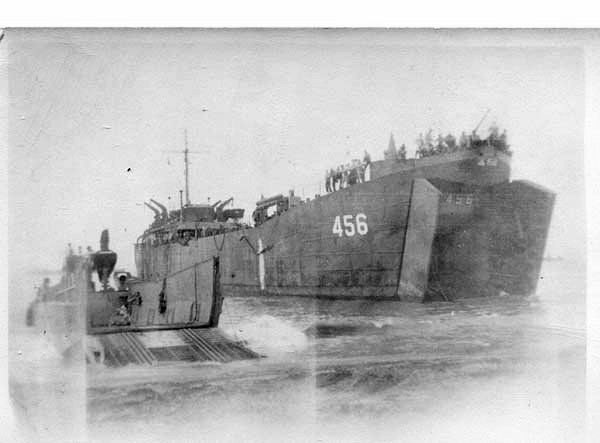 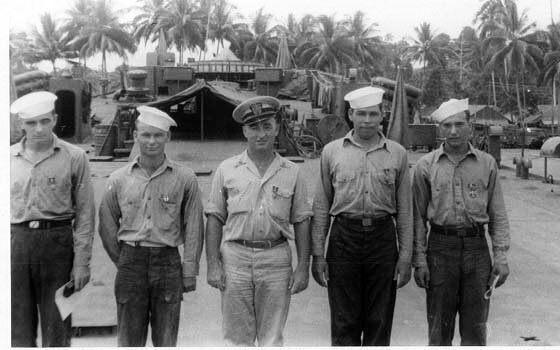 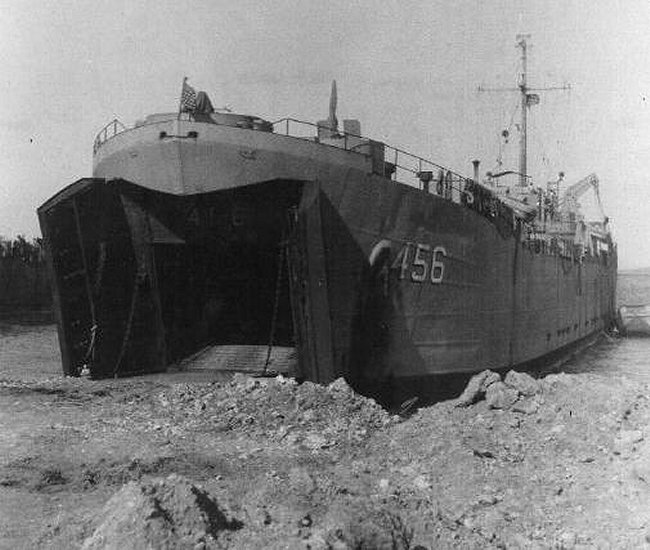 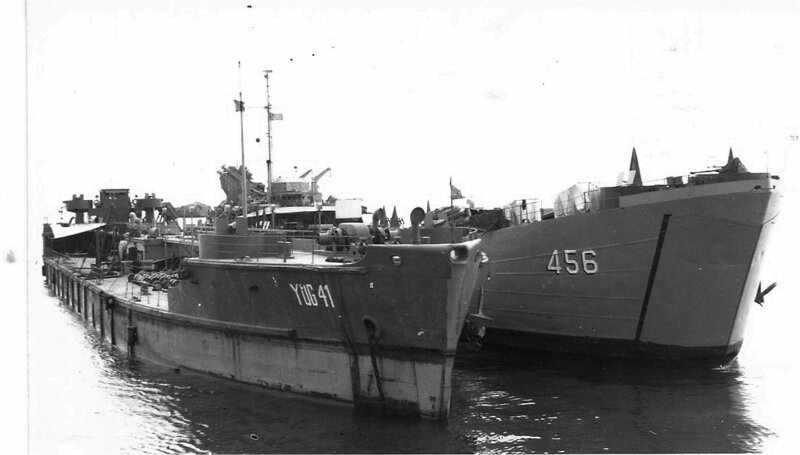 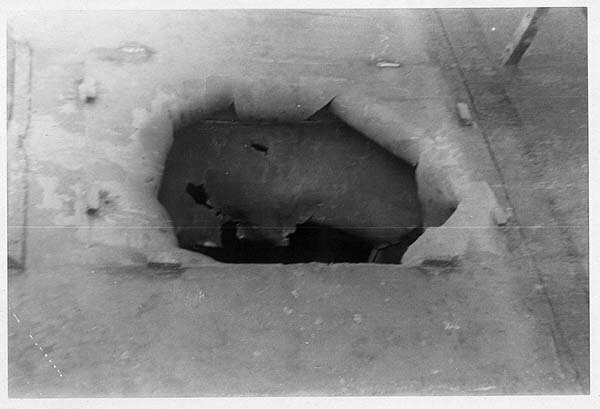 1334k USS LST-456 (closest to camera) and USS LST-466 load Amphibious tanks of the 6th Div. 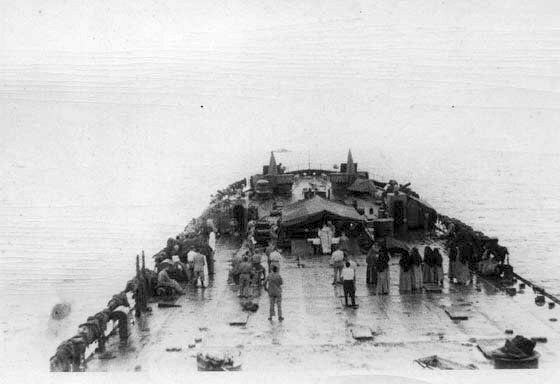 Recon. 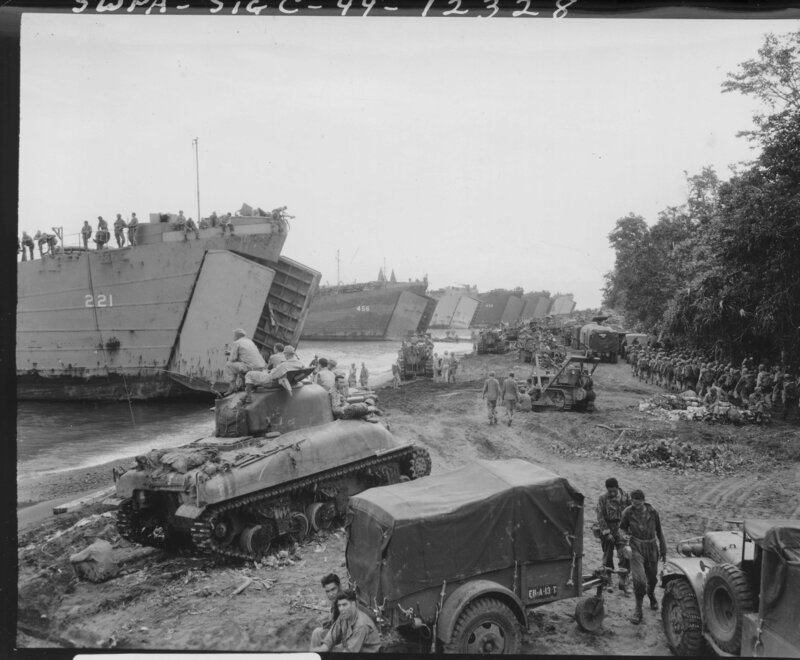 Troops at Mafflin Bay, New Guinea, 26 July 1944, in preparation for the invasion of Cape Sansapor during the Western New Guinea operation. 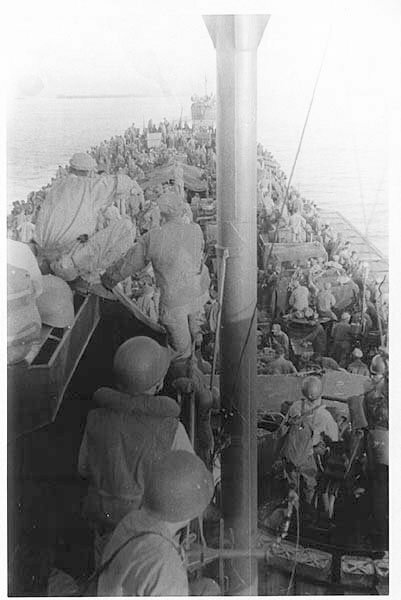 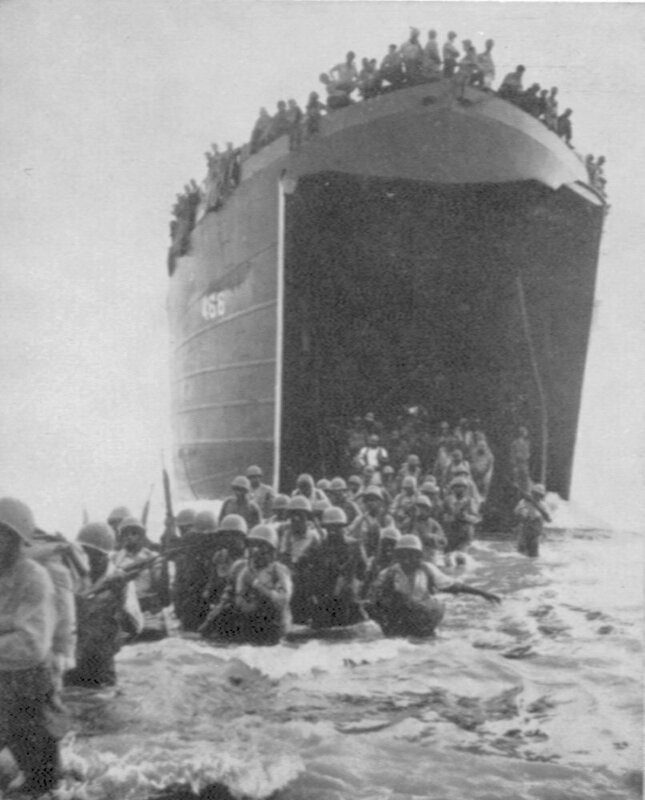 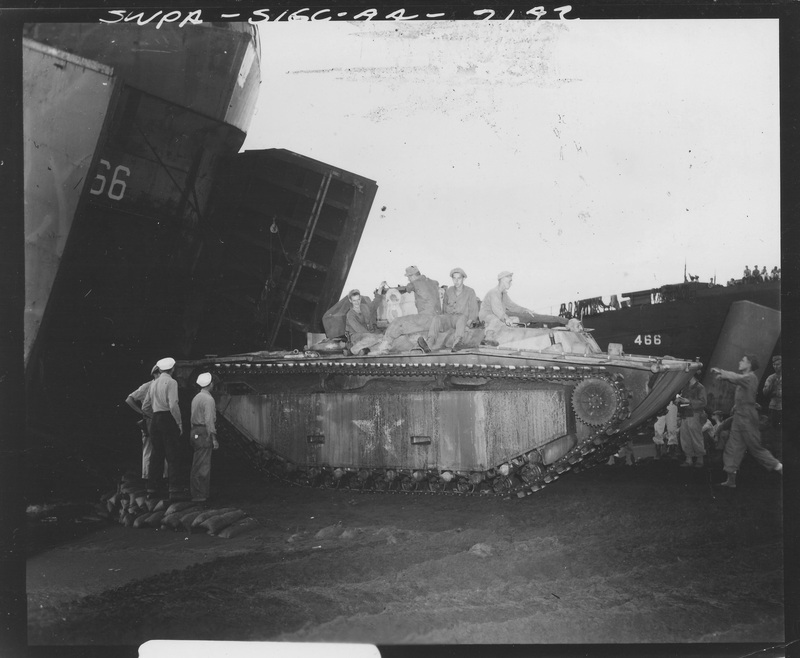 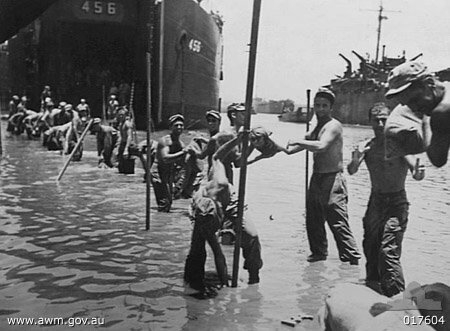 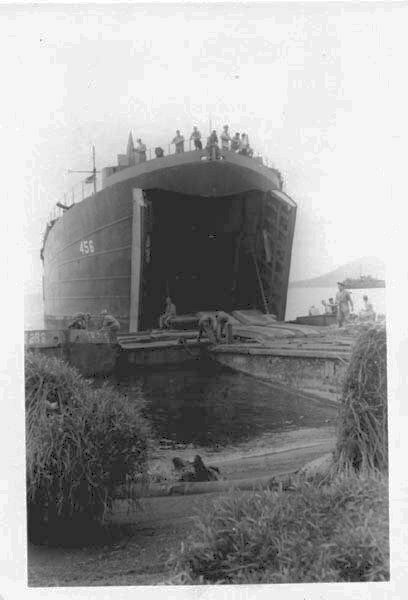 40k US Army troops unloading USS LST-456 at Morotai, 22 September 1944.